This is your place to look for updates regarding GBT's 3rd Annual Winter Arts Festival, which will be held on Friday, December 13th. 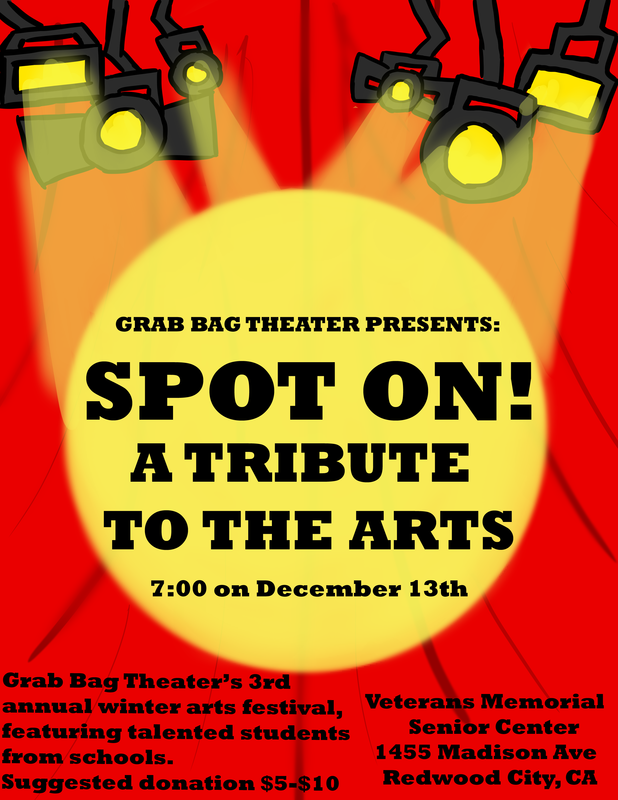 Grab Bag Theater is proud to present it's 3rd Annual Winter Arts Festival. Spot On! A Tribute to the Arts starts at 7:00 on Friday, December 13. The festival will feature local student performers and visual artists. There will be one-act plays, dances, songs, and short films, in addition to a visual art display in the lobby. Home-baked concessions are for sale out in the lobby.